According to a number of Midrashim, Moses did not simply receive the Torah at the top of Mount Sinai. In fact, he had to ascend to heaven itself. There he was confronted with a hostile host of angels, angry at the idea that the supernal Torah would be given over to a mere mortal. In some versions, God must intervene on Moses’ behalf, but in others Moses confronts the angels directly. In one version, he actually has to slay a guardian angel named Kamuel in order to obtain the precious revelation. In another source identified by David Halperin in his book, Faces of the Chariot, Moses actually describes himself as fighting his way into heaven. So what gives? Isn’t God is control of Her own celestial household? Why are the angels angry? Is Moses supposed to have the Torah, or did he take it by force? I am struck by the idea that these accounts of Moses in heaven are reminiscent of the Greek myth of Prometheus. Prometheus, if you will recall, was one of the Titans who, out of sympathy for humanity, steals fire from the gods and brings it down to earth. There are striking parallels between these two legends, but also instructive differences. 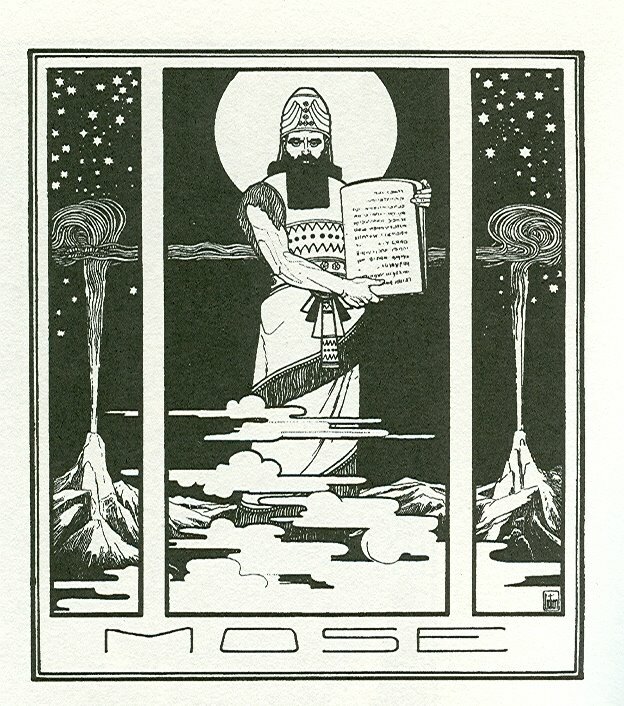 In the Moses legend, Torah occupies the same place as fire does in the Greek story: it is a divine power, a potential blessing to humanity, which passes from heaven to earth. The outraged angels stand in the same role as the Olympian gods. Yet here the similarities end and the contrasting fates of Prometheus and Moses serve to highlight what it means to be human in Jewish tradition. In the Greek story, this act of misappropriating divine power is punished with Prometheus suffering eternal imprisonment and torment. He is made a living example of the doom that awaits all those who challenge the existing order. It teaches that while daring is to be admired, humanity is meant to be humbled and miserable; hubris is always punished by the gods. Moses, by contrast, is meant to have the Torah and he is honored by both God and man for taking it. According to Ben Ish Chai, God sets up the confrontation with the angels both to test Moses (reminding us that nothing in life worth having comes without struggle) and to reveal the superiority of people over angels (we, not they, are God’s real partners in creation). In fact, this legend parallels a number of other tales in Jewish tradition where God actually rejoices when humans show chutzpah (gall) in the face of His obvious power and authority (Gen. 18, Baba Metzia 59b). 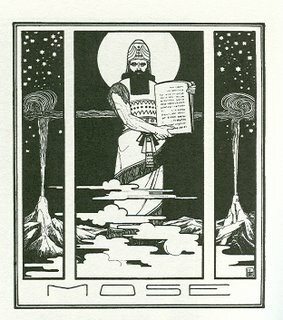 In this myth, Moses is us; he stands for all humanity, and his storming into heaven is meant to highlight the unique dignity and importance of humanity in God’s eyes. God, this myth assures us, looks for us to empower ourselves and to fulfill our godly potential, even in the face of overwhelming power.